SpecTec’s AMOS Software integrates Maintenance, Procurement and Quality into one package to reduce both downtime and cost. AMOS is designed to be easily deployed across shipping fleets and other remote sites. With over 12,000 AMOS licenses being sold to more than 1,200 companies, SpecTec is recognised as a leading Maritime software provider. AMOS is also used extensively in Oil & Gas and Defence market. ShipNet delivers solutions that help shipping companies operate more efficiently and profitably. ShipNet’s success in this is founded on the fusion of comprehensive shipping industry understanding and world class ERP software that together allows organisations to streamline their processes and manage their information and assets in ways that help them make the right decisions for their business. 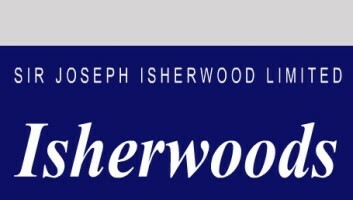 Isherwoods provide integrated maintenance and supply management systems complimented by a full range of IT, Integrated Logistic Support (ILS) and data population services to provide a comprehensive management solution. BAE Systems UMMS is a comprehensive web-enabled maintenance management and reporting system deployed to support the majority of the Surface, Submarine and Auxiliary Fleets in the UK RN as well as all RN/Industry Shore Support organisations. Teromarine’s TM Master System increases management control, significantly reduces operational complexity, thus enabling ship owners to reduce the cost of operations whilst retaining the value of their assets. Artesis combines simple installation with automated setup and diagnosis to bring the proven benefits of predictive maintenance at a fraction of the effort and cost of conventional condition monitoring systems. Icon Research supplies instrumentation and software for monitoring of large machinery, both rotational and reciprocating. Icon embraces the concept of integrated machinery monitoring as part of an overall reliability management strategy to ensure maximum efficiency and availability of key plant. Sensors manufactures and supplies vibration measurement equipment to over 44 countries worldwide. Our equipment enables measurable improvements in the performance and efficiency of industrial plant by providing vibration diagnostics that support predictive and preventative maintenance on key equipment such as fans, pumps, motors and gearboxes. L-3 MAPPS Ltd - Leaders in delivering 'Bridge to Propeller' capabilities including Navigation, Communication, Automation, Training and Through Life Support solutions for the Royal Navy and UK Commercial Markets. Servowatch is a world leading supplier of advanced and innovative integrated ship control systems, including alarm and monitoring, automation, platform management, navigation, communication and multimedia packages, into both new build and retro-fit markets. READ MORE Mimic performance monitoring	Mimic performance monitoring collects and analyses data from various disparate OEM machinery control systems already installed to produce meaningful Performance based reports. READ MORE Providing specialist condition monitoring software to Stolt Tankers	Agreement signed to supply condition monitoring software to Stolt Tankers' fleet of 75 vessels.